Hey University of Georgia! 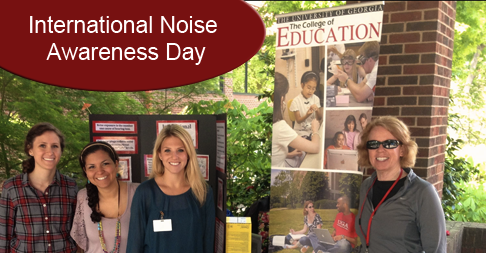 Today, Wednesday 23, 2014 is International Noise Awareness Day! We will be at the Tate Center with the folks from the University of Georgia Speech & Hearing Clinic from 9am-12pm spreading awareness about why you should#ProtectYourEars and will be giving away #FreeEarplugs!